Since moving over to Carrie and the team our website has gone from strength to strenght and we are looking forward to many more years working with these guys. 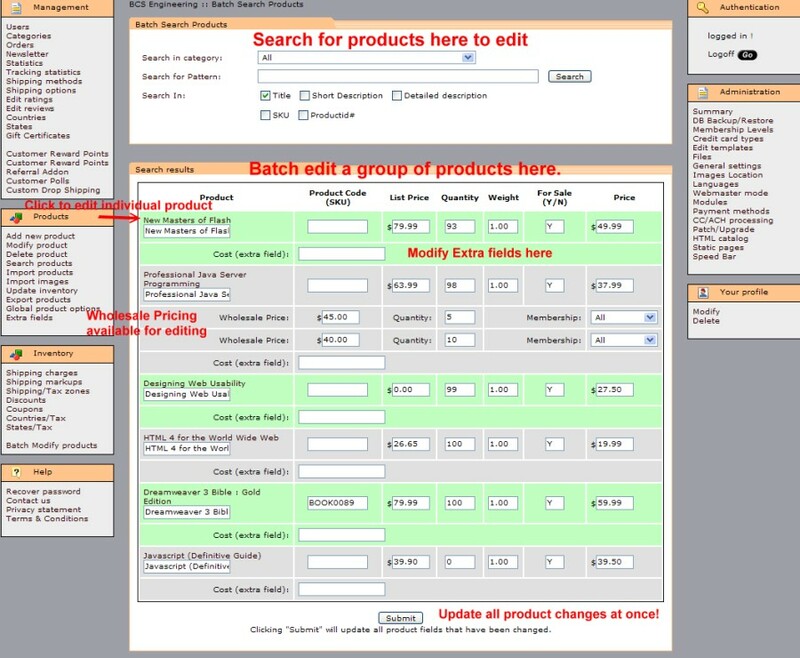 Want to be able to update multiple products at once? Use this time-saving mod to facilitate updating your products! Search results also has a link to modifying a specific product if you need to modify more than what is provided for you. Be sure and click on the thumbnail for a screen shot!